Nearly 40% of the vehicles serviced or repaired need their battery replaced or recharged. Check the battery of every vehicle. This will enhance business reputation, improve customer satisfaction and loyalty and could increase the average workshop’s annual battery revenue. A vehicle’s battery is rarely checked by workshops unless a problem is reported, so its health is unknown to the driver or technician. There may be no obvious signs, but if it is heavily discharged or defective it will fail when the weather gets colder. When a non-start situation occurs, it causes considerable distress for the driver. A replacement battery is likely to be purchased at the roadside or from the nearest retail supplier. Most customers expect their workshop to check and maintain all elements of their vehicle. If the battery fails shortly after a service or repair work, customers may question the quality of the work carried out and the reliability of the workshop. By checking the battery on all vehicles entering your workshop you can significantly improve the customer service you offer, enhance your reputation and prevent battery failure distress. You will also unlock significant potential year-round battery recharging and replacement revenue. 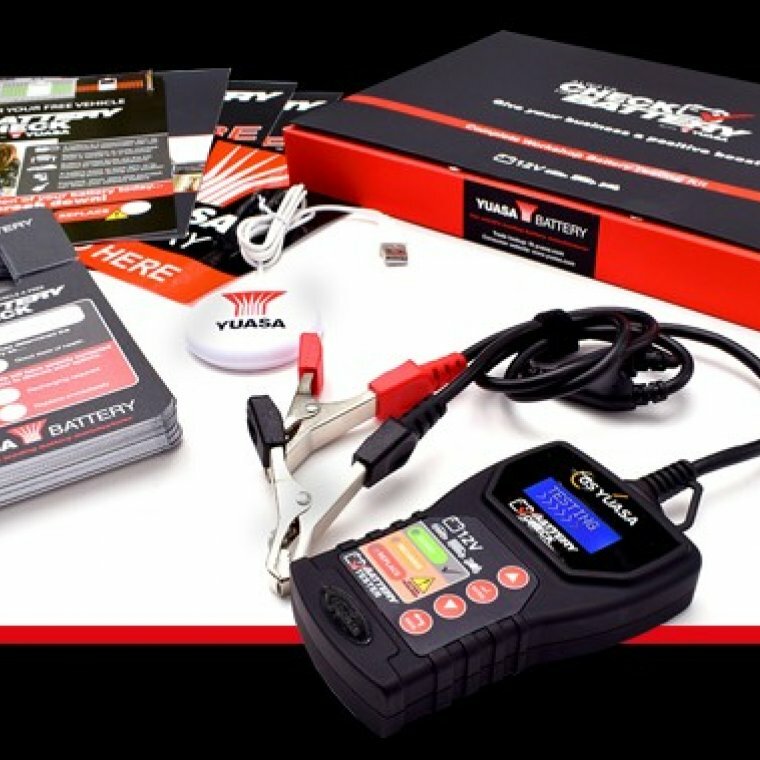 Just coming back to you with a review on your ‘Complete Workshop Battery Testing Kit’ by Yuasa. Good clear traffic light system. All rounder for all users. Ideal to keep in your car. The leaflet to pass on to customers is ideal. We noted that it tests EN batteries and SAE.